Birthdays are cause for celebration, but they can be also stressful if you’re the kind of person who never wants to forget a special event. How can you make Stamps.com work for you when it comes to celebrating someone’s special day? Mailing a birthday cake sounds risky, but if you really want to make someone’s day, you can follow some guidelines that will help you pull this off. Most cake-sellers would recommend mailing a cake that contains fondant icing to ensure it keeps its shape during transit. Keeping the cake cool is also important, so some recommended tips include freezing the cake prior to mailing, lining the cake with gel packs, and placing the cake within a Styrofoam cooler with plenty of dry ice. Keep the cake snug and secure by using a box that prevents a lot of movement, and cushioning the cake with packing peanuts. In your Stamps.com program, we recommend selecting Priority Mail Express as your mail class. Don’t want to send a cake? No worries! Sometimes all you need is a birthday card to remind someone that you’re thinking about them. If you want to send a card or letter, you can print postage on various envelope sizes, including sizes #9, #11, and #12, and the NCR Greeting Card Envelope (8 3/4” x 5 3/4”). Have a funny birthday card with a strange shape? You can also use our Custom Layout Designer to create custom envelopes and postcards of non-standard sizes. In the Stamps.com software, click on “Envelopes” in the left navigation bar and look for the envelope icon next to the “Printing On” drop-down list. For an extra-special touch, send the card with a Custom NetStamp! This product allows you to put your own image on a sheet of NetStamps labels. Once you design and order your sheet, we’ll send you a sheet with your image. You can then run the sheet through your printer and decide what kind of letter or postcard postage you need with our Stamps.com program. If you want to mail a gift like a shirt, mug or book, you can use Stamps.com’s powerful platform to select the mail class that will fit your needs. Under our “Packages” section, you can easily print a trackable label on plain paper or on one of our self-adhesive labels. You can create a barcoded shipping label for USPS Priority Mail Flat Rate boxes and receive the discounted Commercial Base rate. If you want to use your own box, just select “Package/Thick Envelope” as your mailpiece and print out a barcoded shipping label. Make that birthday special! Maintaining a steady flow of shipments and mailings is a key component for any business. If your business is water, or if you’re mailing a shipment of water as a one-time transaction, then it’s important to remain compliant with USPS guidelines. The important thing to remember is that you are allowed to mail non-flammable, non-corrosive, non-explosive, non-odoriferous and non-hazardous liquids with the USPS. This includes shipments of water and other types of qualifying liquids. In addition, non-hazardous creams and pastes are considered by the USPS to be liquids and can also be mailed. There are specific packaging guidelines to keep in mind. Protect your packages against breakage and leakage. Whether you’re sending mountain spring water, or water enhanced by magnesium and electrolytes, make sure that you seal the liquid inside a waterproof container. Some people prefer to drink water from a glass bottle instead of a plastic one due to health, taste-related or environmental concerns. If you’re sending a glass bottle via the USPS, we recommend placing it within an inner container that is sealed and waterproof. Then, place your inner container within outer packaging with plenty of cushioning material. What about liquids like paints? Yes, these can be mailed, but there is an important caveat: do not mail paint cans with friction-top closures without placing them first within strong outer packaging. For all mailpieces containing liquids, make sure you also clearly indicate as such on the outside of the package. You can write “LIQUID” or “LIQUIDS” with a marker. Learn more about USPS guidelines for shipping liquids. If you need to quench your customers’ desire for tracking information, we recommend using the Stamps.com Shipping Label feature. Barcoded shipping labels printed via Stamps.com have built-in, free tracking. Under the “Packages” section of the Stamps.com software, you can select one of our “Shipping Label” options. You can easily print a trackable label on plain paper or on one of our self-adhesive labels, such as the 4 1/4″ x 6 3/4″ shipping labels. If you’re running an apiary or beekeeping business, you’re probably selling products such as honey, beeswax, or bee pollen. Bee operations also make revenue by selling actual live bees. But can you mail bees through the USPS? Yes, but there are some guidelines to keep in mind. Only queen honeybees and female worker/attendant honeybees can be mailed via the USPS. Whole colonies cannot be shipped. If you’re sending a starter hive of live bees, keep in mind that the type of bee you’re sending will determine the mail class you can use. When mailing bees with Stamps.com, you should always print a shipping label with embedded barcode tracking. In the Stamps.com software, under the “Packages” section, you can select one of our “Shipping Label” options. You can easily print a trackable label on plain paper or on one of our self-adhesive labels, such as these 4 1/4″ x 6 3/4″ shipping labels. As a Stamps.com customer, you’ll receive the discounted PC Postage (Commercial Base) rate, so you’ll save money when you print postage with us! Queen honeybees can travel in style and be shipped by the faster air mail methods. Female worker/attendant honeybees can only be shipped via surface-based mail methods. Generally, Priority Mail, Priority Mail Express and First-Class Mail pieces will generally be shipped by air. The queen doesn’t have to fly alone, though, and in accordance with USPS regulations, she can be joined by up to eight female attendant/worker honeybees. When shipping bees, it’s obviously important to spend some time ensuring your package is safe for both the bees and for the postal workers. The mailpiece should be constructed in such a way as to provide adequate air and ventilation—a temperature range of 40° to 100° F is recommended—and secure enough to prevent any bees from escaping. A third consideration is strength, as you need to avoid having your box getting crushed during transit. There are a number of solutions, including using screened wooden rectangular boxes or reinforced bee shipping boxes. For mailpieces sent by surface transportation, you must mark your box on the address side with the following descriptors: “Live Bees” and “Surface Only/Surface Mail Only.” Plainly mark “Live Queen Bees” on the address side for mailpieces sent with queen honeybees. Before mailing bees abroad, we strongly recommend checking individual country listings for restrictions. Bees may be prohibited entirely, or stringent importation rules may apply. For example, when mailing bees to Argentina, you would need to have the Argentine Consul countersign a health certificate. If you’re sending live bees to Sweden, they must be sent directly to the Department of Bee Research of the University of Agricultural Sciences at its campus in Uppsala, Sweden. Learn more about international shipping restrictions by country. Autumn means changing leaves, putting away your summer gear, and getting your office ready for the busy holiday season. Even though the days will start getting shorter, you can still keep your home office running by using the powerful Stamps.com platform! 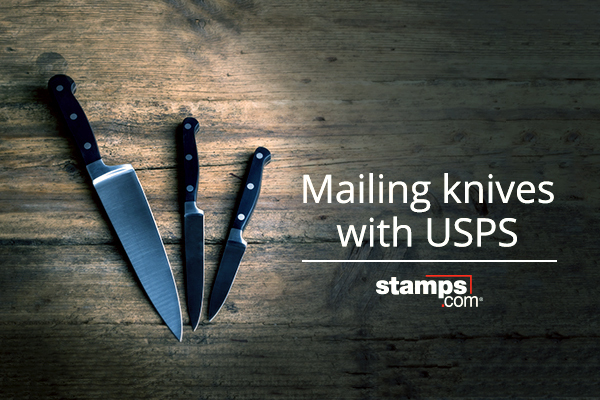 Keep yourself well-supplied for a busy holiday season by visiting the Stamps.com Store, where you can order free USPS supplies, and also purchase a cornucopia of packing supplies, shipping envelopes, and special handling labels. The Thanksgiving season means food and charity drives, parades, football games, and family dinners. If you’re an e-commerce seller, it also means the peak shopping days of Black Friday (November 24) and Cyber Monday (November 27) are right around the corner. Cyber Monday is always the Monday after Thanksgiving, so you can ride the gravy train by offering coupon codes and online deals. So that you can offer your customers free tracking and keep them informed about the status of their packages, we recommend using the Stamps.com Shipping Label feature. Under our “Packages” section, you can select one of our “Shipping Label” options. You can easily print a trackable label on plain paper or on one of our self-adhesive labels, such as the 4 1/4″ x 6 3/4″ shipping labels. Thanksgiving is a time for pie, and with Stamps.com’s Report Tool, you can create your own pie charts by clicking on “Summary” under the “Expenses” and “Prints” tabs. You can analyze your postage spending habits by logging in to your Stamps.com software and looking for the Reports icon on the left side of your screen. Thanksgiving is a season for expressing gratitude. If you want to give thanks and show your appreciation to a friend, business contact or family member, we offer nine different Thanksgiving and fall-themed NetStamps designs. NetStamps are versatile and can be used for various denominations. They don’t carry a date, so you don’t need to use them on the day that you print them.